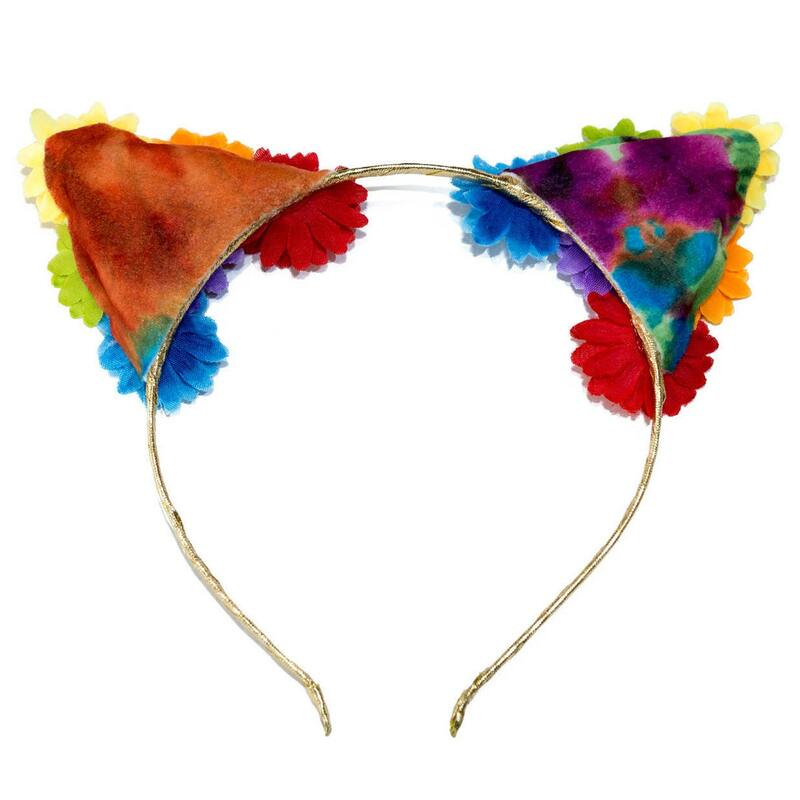 Sparkle and shine when you wear a pair of Kitty Katrina Rainbow Jewel Cat Ears! 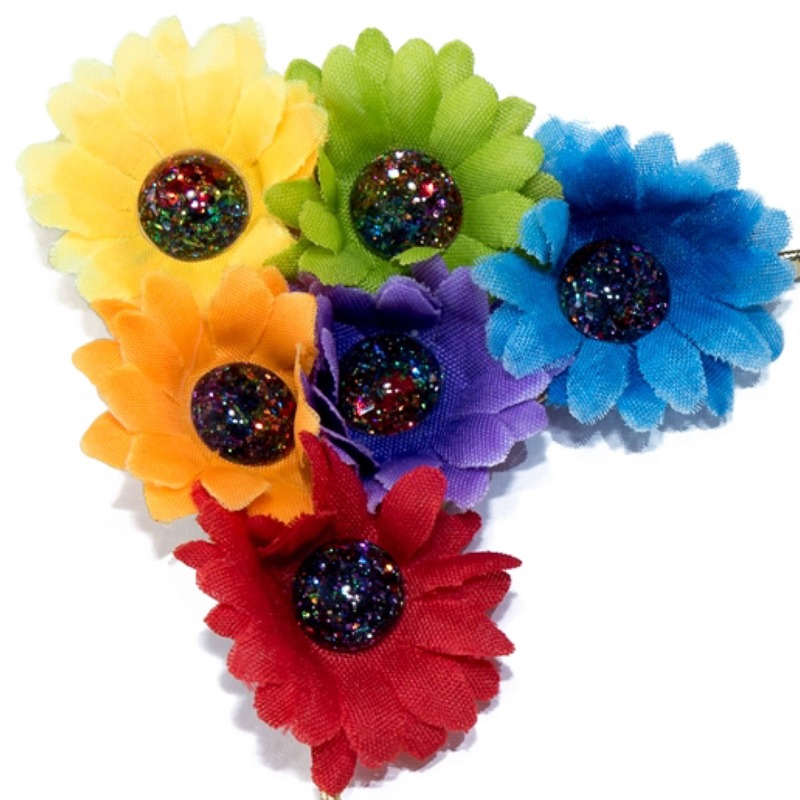 This headband features rainbow-colored daisies with sparkling, handmade dark rainbow jewel centers; a gold headband, and rainbow tie dye backs (see images). 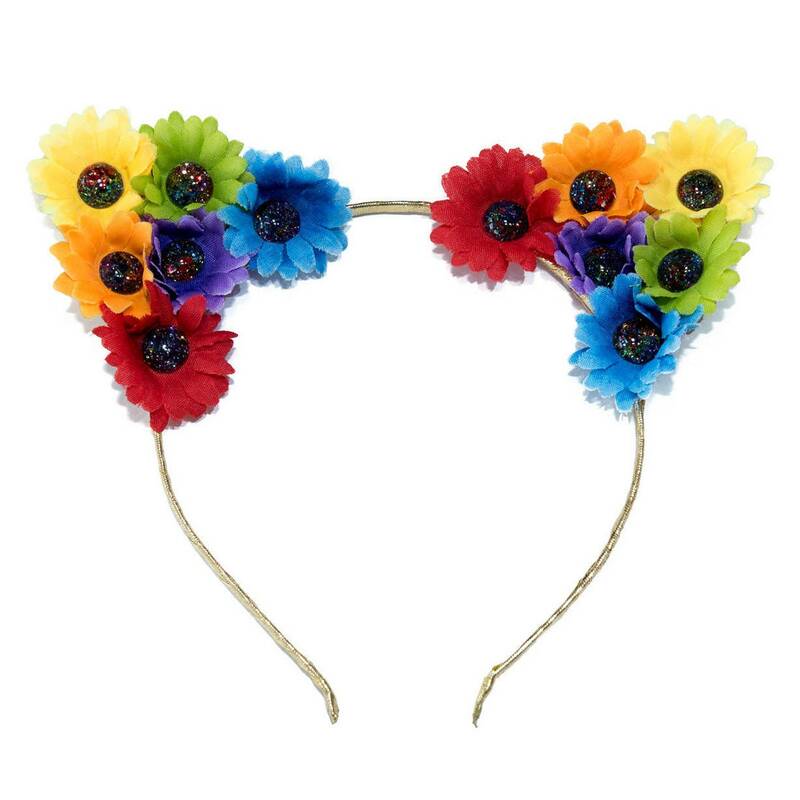 This headband will complete your outfit for any party, rave, concert or festival and people will fall in LUV with your unique and sparkling kitty vibes! Product Details: 1 Headband is included in this purchase. This Headband fits most head sizes. The back of the ears will be covered in a rainbow tie dye felt fabric so these ears will be beautiful from front and behind. The felt ear backs are cut from a larger piece of fabric, therefore, the exact rainbow colors displayed on the ear backs will vary with each headband that is handmade, making each piece unique :) Each daisy is roughly 1.3"-1.5" in diameter.